This collection would be lambasted were it not associated with the resurrection of John Galliano. Toy cars ... Busy road. Since the beginning of the Maison in 1988, the design team has been collecting garments, accessories and objects to repurpose in the Artisanal line (their take on haute couture). The concept is that old, mundane or abandoned objects are given a new life by transformation into beautiful garments. Our perception of the value of things that surround us is thus challenged. Nothing, it turns out, is truly banal or useless. And if prosaic objects can be reborn as “fashion”, isn’t fashion everywhere you look? 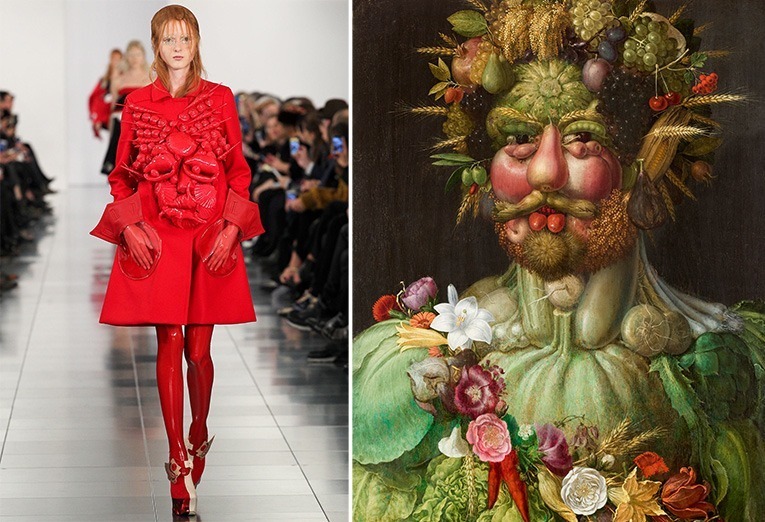 One of the red looks boasted a strange sculpture on the chest, a reference to the Late Renaissance painting Vertumnus by Giuseppe Arcimboldo. It depicts Emperor Rudolf II as Vertumnus, the Roman god of growth and change of seasons. It might seem deranged (and possibly deadly) to portray one’s emperor as a vegetable composition. According to some art historians though, the veggies signify the abundance of the Golden Age that returned to Prague under the Emperor’s reign. Recalling Vertumnus suggests that Galliano sees himself as a messiah who has brought back greatness to Maison Margiela. I’ve seen fashion designers use art references for aesthetic purposes only too many times to bet my life that this was deliberate cheekiness on Galliano’s part. But if it was, that’s throwing out of the window Margiela’s code of anonymity and the acknowledgement of fashion design as a collective process. Ancient Greek gods would accuse Galliano of hubris. 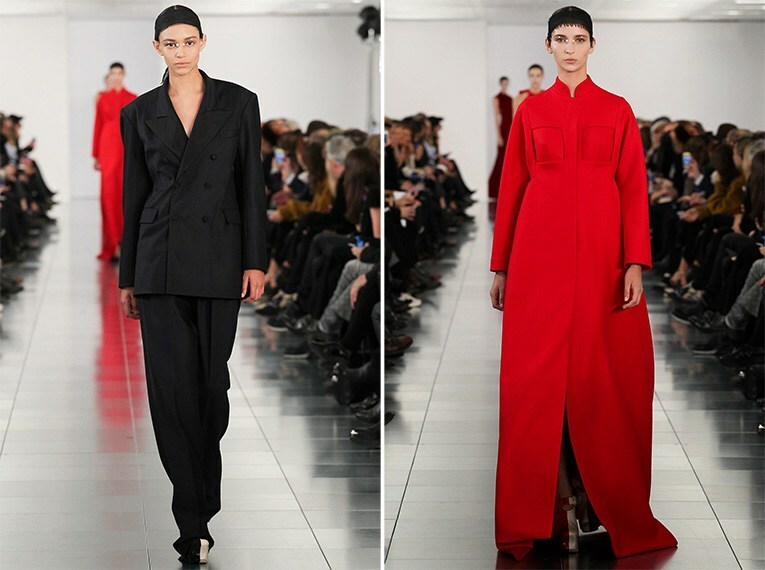 In the second half of the show, the Maison presented the same 24 looks as “works in progress”. Those toiles were rendered in muslin and pattern pieces, emphasising the craftsmanship behind the collection. I was tempted to praise this as genius until I discovered a video of the Fall/Winter 1997/98 show. 18 years ago Martin Margiela had already pinned paper patterns onto garments and showed several pieces with the shape and signage of a tailor’s dummy. Awkward. Tailor’s dummies, of course, are a Margiela evergreen. As are the four stitches in place of a logo, the monotone way of differentiating their numerous lines and the meticulous devotion to anonymity. 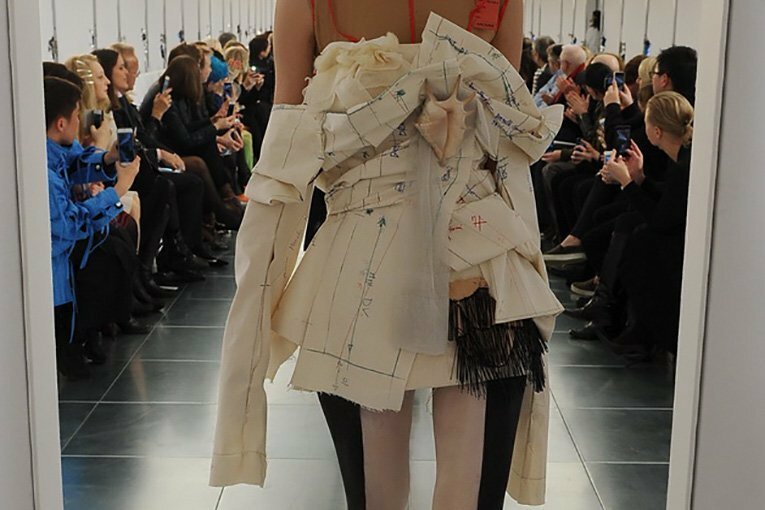 Such quirks made Margiela clothes fun to wear and think about. 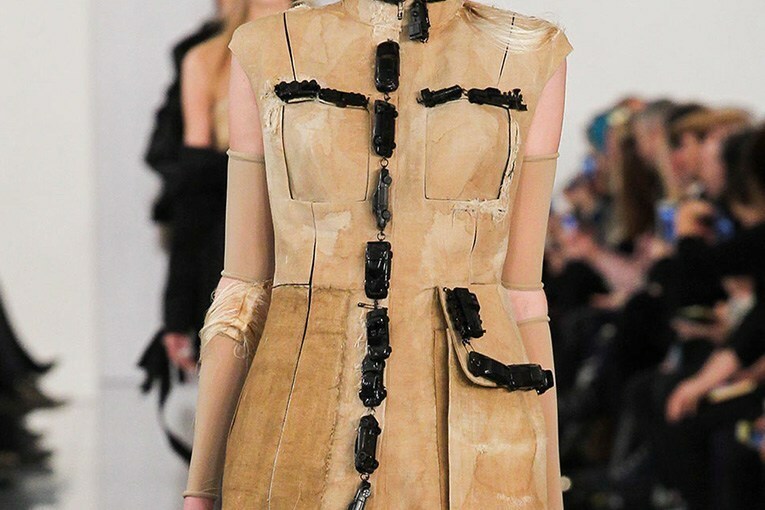 That Galliano would veer from this, infusing Margiela with his trademark decadence, was to be expected. MMM has been anything but decadent over the years and I was excited about this new aspect of its personality. Only a master storyteller of Galliano’s ilk could succeed at this without compromising the values of the brand, I thought. I still think the same, only that it will take Galliano a few more seasons to adjust. This time most looks came off as florid and disorientated. 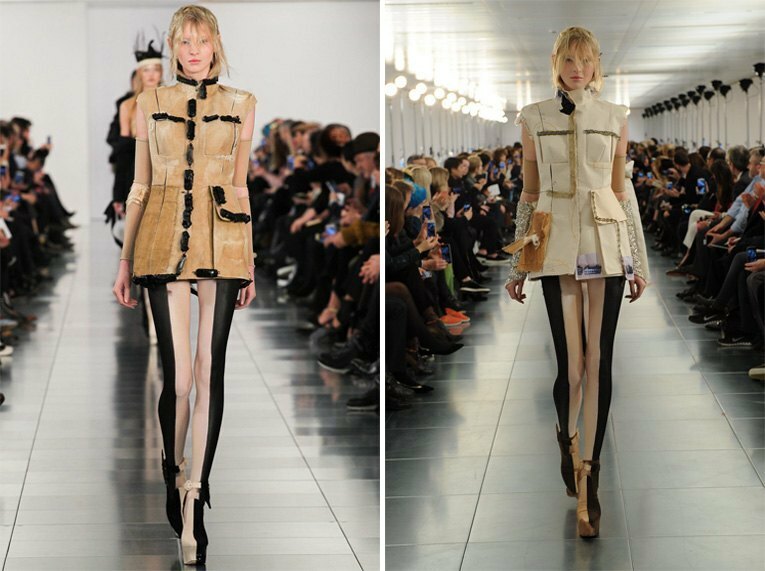 Thrown in the cauldron with Margiela’s pared-down intelligent chic, Galliano’s theatrics were constricted and out of place. It all felt like squeezing your foot into a shoe a size too small. 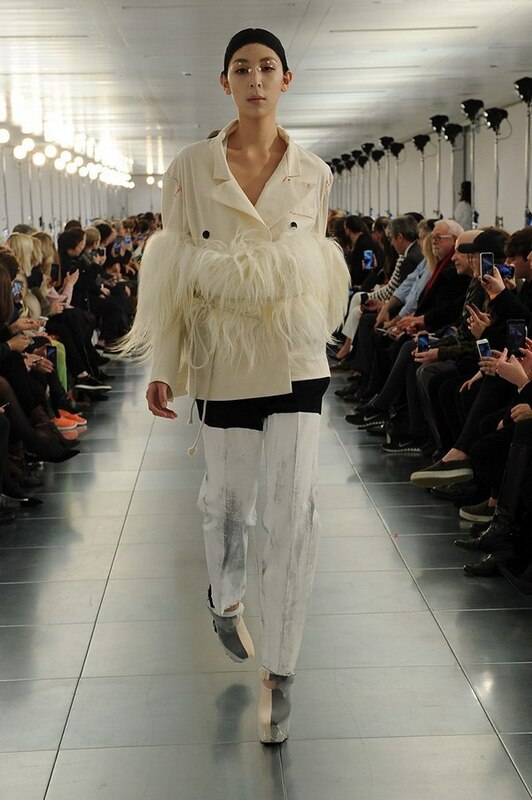 Will/has Galliano blended with the Maison Margiela team or will he continue to sort of play guest designer? In what direction, if any, will he lead the brand? Where is the line between a designer’s personal vision and that of a brand he works for? Will MM selling collections still include brilliant, witty clothes? Will MM’s reputation of a brand for connoisseurs, fashion insiders and art dealers dilute? Will they be targeting emerging markets and new demographics? I've never understood people's fascination with Galliano and this collection demonstrates why.